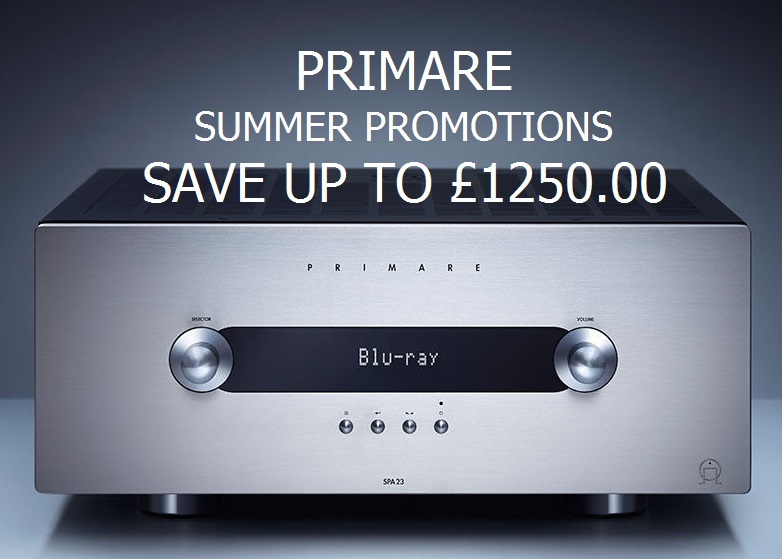 For a limited time and subject to availability we are delighted to offer some stunning promotions on Primare electronics and Revel loudspeakers. We are also offering an exceptional promotion on the Revel Concerta 2 loudspeaker range. When purchasing any of our Primare summer promotion offers, you may purchase a pair of Revel loudspeakers from the Concerta 2 range with 15% off the normal price.